Our St Petersburg helicopter tours can be summed up in one word – spectacular! Seeing the ornate and colorful roof tops of St Petersburg's historical buildings from the sky might not be the most inexpensive way to tour the city, but for those of you who don't mind the extra expense, it's worth it! A sweeping aerial view of the Imperial city offer you a nice chance to see many important landmarks while looking down on a landscape that's made up of beautiful rivers, canals, islands and bridges that connect all of St Petersburg. The view of the top of the Church of Our Savior on Spilled Blood, St. Isaac's Cathedral, or the Winter Palace are an architectural masterpiece that can only be described as breathtaking! 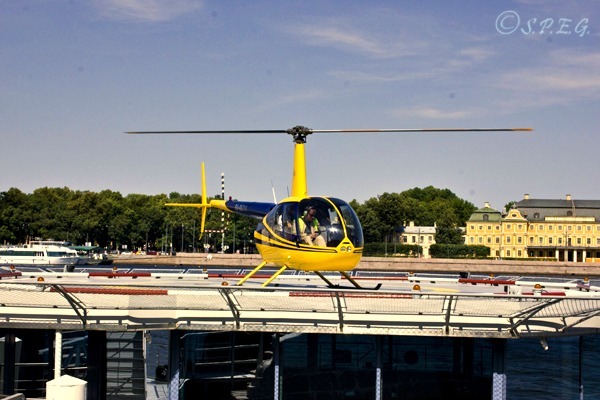 There are five different types of St Petersburg Helicopter Tours to choose from. The tours focus primarily on sights over the central part of the city; Tsarskoe Selo with its amazing Catherine Palace and elaborate parks and gardens; Peterhof with its famous Grand Palace and park complex, also known as the Russian Versailles; and other interesting places which once were the residences of the Romanov Tzars. 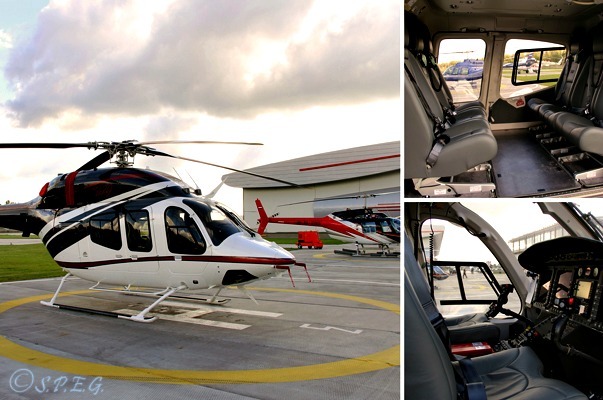 Each helicopter can host from a minimum of 3 passengers up to 7 passengers maximum, and the tour lasts 30mins or 1hour max, depending on the route chosen. Once you're up in the sky, you won't only enjoy a flight that takes your breath away and makes the hairs stand up on the back of your neck, but also, you’ll see the city of St Petersburg from a different perspective, which in my view is the best one. If you are keen to see the city from the sky take a look below at our list of St Petersburg Helicopter Tours. To get started just click on the links. Experience St Petersburg from the completely unique perspective of a helicopter. Soar past the city key sights, snap a perfect shot of St Isaac Cathedral or Kazan Cathedral, get a birds-eye view of the beautiful Winter Palace or the Peter and Paul Fortress and admire the beauty of the city’s rivers and canals from above. 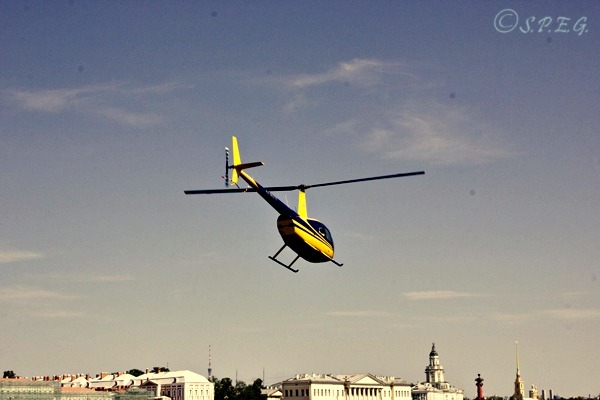 One of our helicopters flying over the city center in St Petersburg, Russia. Itinerary: One of our drivers will come to collect you at the hotel and take you to the aerodrome near Pulkovo Airport. Once you get there you meet with a representative of the company which will take you to the helicopter. Sights covered on the flight: Vasilevsky Island; St. Catherine Church; Spit of Vasilevsky Island; football stadium "Petrovsky"; Suvorov Square; the Marble Palace; the Summer Palace of Peter I; the Tauride Palace; Smolny Cathedral; Bolsheokhtinsky Bridge; the Winter Palace; the Admiralty; the Bronze Horseman; other attractions. Options: At an additional cost you can avoid going to Pulkovo Airport and choose to be picked up by the helicopter at one of the following sites: city center (the mooring on the Neva River near the Bronze Horseman Monument); Marine Facade Port (Vasilievsky Island); Yacht Club (at the Peter Spit of the Petrograd Side). Note: For your information the flight crew offering these St Petersburg Helicopter Tours speaks English. They will provide you with the essential information you need to know before flying. When: All year around and on daily basis (Depending on the weather and other local circumstances). Fuel surcharge, insurance, air safety’s and Helidrive fee. Exclusions: Tips to the driver. Price: Depends on the duration of the flight and on the number of passengers on board. . Ask for more details! Combine a majestic flight over the main St Petersburg's attractions and the imperial suburbs. Choose to fly between Peterhof, Tsarskoye Selo, Pavlovsk, Oranienbaum, Gatchina and Kronshtadt and get a breath taking view of one of these famous Tsar Summer Residences. Fly beyond the city and enjoy a trip of a lifetime, something you’ll never forget! Sights covered on the flight: Vasilevsky Island; St. Catherine Church; Spit of Vasilevsky Island; football stadium "Petrovsky"; Suvorov Square; the Marble Palace; the Summer Palace of Peter I; the Tauride Palace; Smolny Cathedral; Bolsheokhtinsky Bridge; the Winter Palace; the Admiralty; the Bronze Horseman; Peterhof or Tsarskoe Selo (Pushkin) or Pavlovsk or Oranienbaum (Lomonosov) or Gatchina or Kronshtadt. Price: Depends on the duration of the flight and on the number of passengers on board. Ask for more details! Start your flight tour in St Petersburg going from the west to the east and enjoy panoramic views of some of the city’s most iconic landmarks. 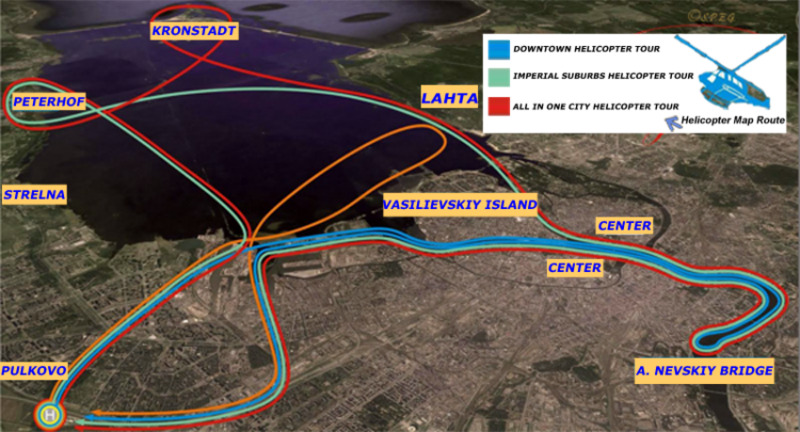 Fly over our St Petersburg downtown first and then move towards Peterhof. Stop for a walk in the large park, see the tricky fountains and the Grand Palace and fly back to the city. Feel like a VIP and enjoy a unique perspective! Sights covered on the flight: Outskirts and downtown of the city (Vasilevsky Island; St. Catherine Church; Spit of Vasilevsky Island; football stadium "Petrovsky"; Suvorov Square; the Marble Palace; the Summer Palace of Peter I; the Tauride Palace; Smolny Cathedral; Bolsheokhtinsky Bridge; the Winter Palace; the Admiralty; the Bronze Horseman; Peterhof. Options: At an additional cost you can avoid to go to Pulkovo Airport and choose to be picked up by the helicopter at one of the following sites: city center (the mooring on the Neva River near the Bronze Horseman Monument); Marine Facade Port (Vasilievsky Island); Yacht Club (at the Peter Spit of the Petrograd Side). Book this extended flight tour and enjoy a stunning trip over all of the incredible sights that St. Petersburg and its surroundings has to offer. Fly from St Petersburg downtown to Kronshtadt over the Gulf of Finland and then from Kronshtadt to Peterhof. Enjoy a complete itinerary, take amazing photos and get to see everything all at once! Sights covered on the flight: Vasilevsky Island; St. Catherine Church; Spit of Vasilevsky Island; football stadium "Petrovsky"; Suvorov Square; The Marble Palace; the Summer Palace of Peter I; the Tauride Palace; Smolny Cathedral; Bolsheokhtinsky Bridge; the Winter Palace; the Admiralty; the Bronze Horseman; Kronshtadt; Peterhof. Options: At an additional cost you can avoid going to Pulkovo Airport and choose to be picked up by the helicopter at one of the following sites: city center (the mooring on the Neva River near the Bronze Horseman Monument); Marine Facade Port (Vasilievsky Island); Yacht Club (at the Peter Spit of the Petrograd Side); Kronshtadt. Fly over St Petersburg during the White Nights and enjoy a truly magical experience that highlights the beauty of Russia’s Northern Capital, its iconic landmarks and twinkling road network, and canals that looks almost refined. Book this flight tour and let us take you on a romantic lifelong memorable trip over St. Petersburg, just as the bright lights start to appear. 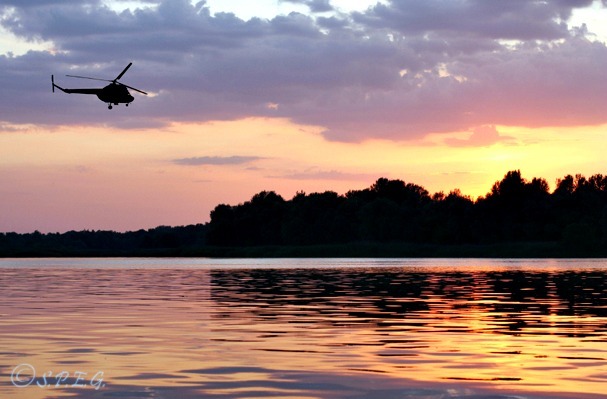 Our St Petersburg Helicopter Tours during the sunset near St Petersburg. Sights covered on the flight: Vasilevsky Island; St. Catherine Church; Spit of Vasilevsky Island; stadium "Petrovsky"; Suvorov Square; the Marble Palace; the Summer Palace of Peter I; the Tauride Palace; Smolny Cathedral; Bolsheokhtinsky Bridge; the Winter Palace; the Admiralty; the Bronze Horseman. Flight Duration: Min 30 minutes; 40 minutes; max 60 minutes (if you'll decide to fly to suburbs). When: All year around an on daily basis (Depending on the weather and other local circumstances). Below you can see a flight route map of our partner's helicopters. This way you can visualize your trip on the sky. Click on the map to get a large image! After booking any of our St Petersburg Helicopter Tours, shortly you will receive an email from us with all the details of your tour along with a copy of your flight certificate, which is your tour flight ticket. A copy of your passport and a full payment in advance is required. In order to facilitate your request we kindly ask you to contact us at least one week in advance, though the sooner, the better. If you want, you can travel to the Aerodrome near Pulkovo Airport on your own by taking the public transports, though we strongly recommend that you get there by taxi as this way it is more convenient. 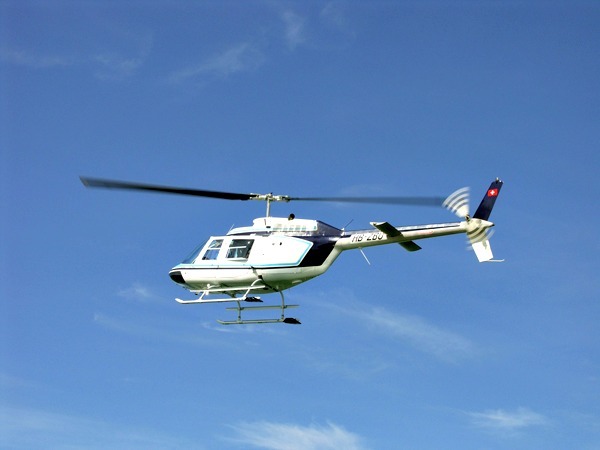 Any of the flight tours offered on this page are operated by our Russian partner, a private local helicopter company that has been in business for seven years. We collaborate with this company because it is the only company in the city for tourist flights. All other companies are just sellers! During the flight, you can take on board a camera or mobile phone for taking photographs (but in flight safe mode only). 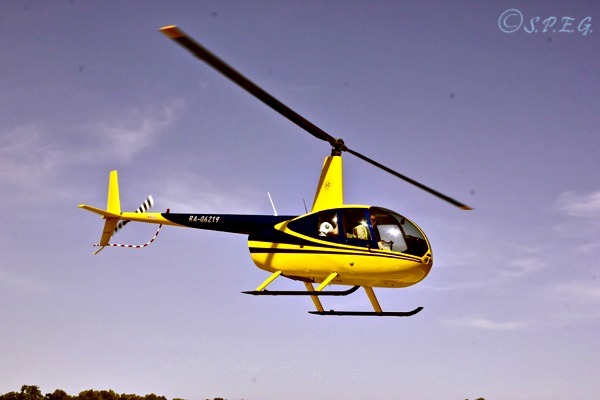 The flight tour begins when the helicopter's engine is running and the vehicle takes off. The tour ends when you return to the heliport and the engine is switched off. You can create your own flight route. The price will be calculated according to the time, route chosen, and how many people are taking part on the tour. There are different types of helicopters, each one is modern and up to date but differ in terms of size, model and look. Here our partner's list of the helicopters: Robinson 44 (for 3 people), Eurocopter EC 120 B (for 4 people), Bell 206 (for 4 people), Bell 407 (for 5 people), Bell 429 (for 7 people). At an extra charge you can also choose to be collected in the city center by a helicopter instead of traveling to the heliport situated near the airport, which is 30 minute drive (depending on traffic). In the event you want to be dropped off in the city center the price will go up.